Want to learn Mandarin in Shanghai? Learning Mandarin in Shanghai might be a good step into a better and more interesting job. If you are an expat in Shanghai it is a great idea to learn to speak the language. There area a lot of different schools who are specialized at teaching Mandarin to foreigners, but not everyone are very good. In fact, I had a couple of bad experiences with a couple of them. Anyway, LTL Mandarin Language School and Mandarin House are two of the language schools with the best review online. I have personally tried Mandarin House for taking a HSK (Hanyu Shuiping Kaoshi) and was satisfied with the service. LTL was founded in 2008 by Austrian expat Andreas Laimböck. After having studied Mandarin with little success at a Chinese University here, Andreas tried a number of different approaches to learning the language. Eventually, Andreas decided to open his own language school, built on the foundations of how he believed best to teach foreigners to speak Chinese fast and effectively: small group sizes, qualified teachers, personalized curriculum and where possible, immersion. This successful combination of elements has now led to thousands of LTL students speaking Mandarin. In 2014, LTL in Beijing became a registered HSK testing center and now offers monthly HSK dates for those who wish to gain a qualification from their Chinese language learning. The school is around a 15 min walk from Guomao and Jintaixizhao subway stations (Line 10). 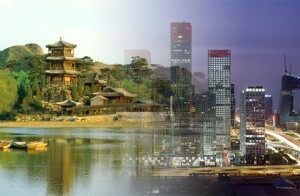 LTL offers a number of Mandarin courses, the most popular with expats being the 1-on-1 classes*. These can take place either at the school or in your own home. If you live within the 3rd ring road, the price will be the same either way. 1-on-1 classes allow you to concentrate on the elements of Chinese that are most important to you, for example, business vocabulary or HSK preparation. It also allows you to be flexible with class times and allows you to progress at your own speed. For those of you that wish to learn Chinese in a more intensive environment, we offer Immersion courses which combine study in Beijing with study in the smaller city of Chengde and the more cost effective small group courses, which involve classes of 4 hours a day at our school in groups of up to 6 students. LTL offer Summer Camp (day camp) for children between the ages of 7 and 17, perfect for those working expats. The camp includes both Chinese language classes and fun cultural trips around the city. If you would like to contact LTL Mandarin school to organize a course or a visit to our school, please email: info@livethelanguage.cn or contact us via telephone on 010 5100 1269. *LTL offers a quality guarantee. Sign up for 1-on-1 Chinese classes and if after you first 3 hours of classes, you are not satisfied with the quality of our teaching, we will cancel the rest of your classes and you won’t have to pay us a penny.